Filed to: Great Job, Internet!Filed to: Great Job, Internet! As it turns out, Pixar’s Cars franchise and the Fast & Furious franchise have more in common than just a love for vehicles. Mater’s friendship with Lightning McQueen looks an awful lot like the beautiful bromance between Dom and Brian. 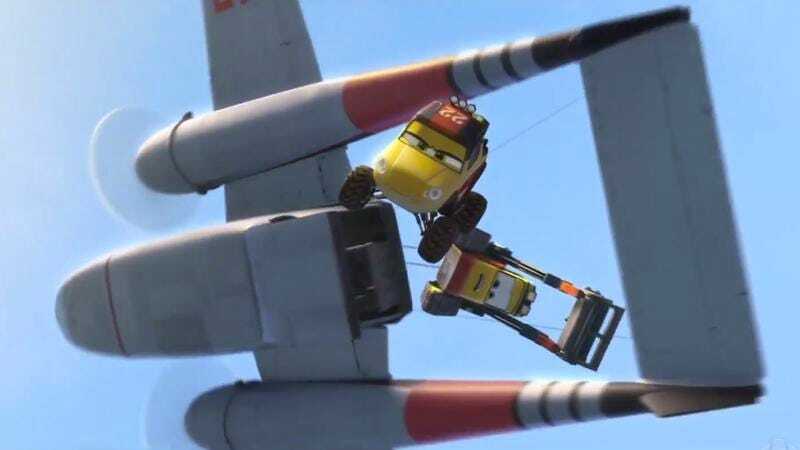 Plus, Cars 2 dropped automobiles out of a plane long before Furious 7 took on the feat. The folks over at IGN must have noticed the similarities, too, leading to a parody trailer that mashes up the Furious 7 trailer’s audio with Cars scenes to answer the pressing question: What if Pixar made Furious 7? Though a beat-up tow truck certainly wouldn’t be Dom’s car of choice at Race Wars, the characterization is oddly fitting. And considering just how improbable most of the physics are in the latest F&F installment, maybe it would make more sense if it all took place in a Pixar cartoon. Now Furious 8/Fast 8/Furiou8/F8/whatever-the-next-movie-is-called just has to include a scene where the crew races to the top of the Eiffel Tower to make the crossover complete.